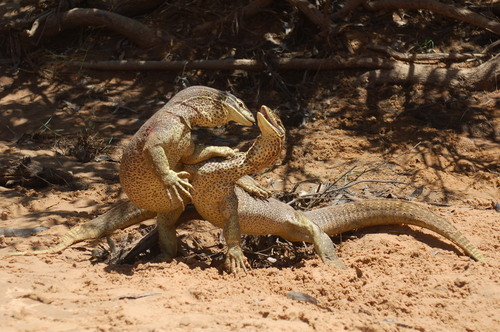 but we ARE an Australian outback mixture of all these things. 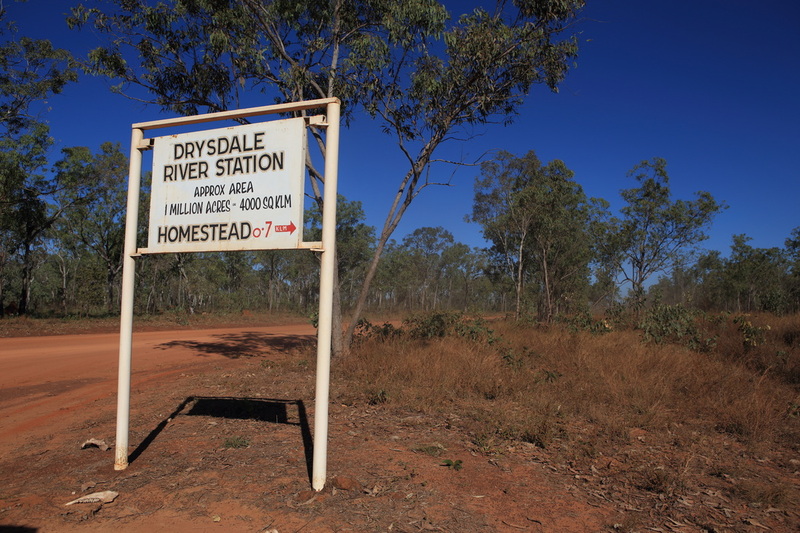 Drysdale River Station is a working cattle station situated on the Kalumburu road. 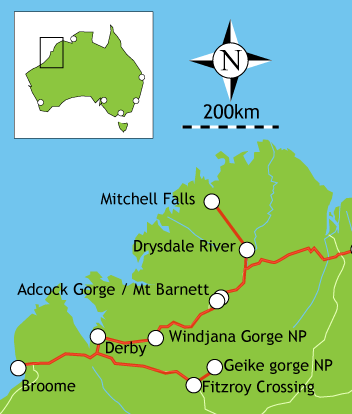 This road is the only access to the Mitchell Falls and Kalumburu and we are the service centre for the area, offering all a traveller could need. 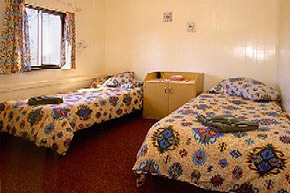 We are only 59 kilometres north of the main Gibb River Road, not far to deviate to spend a night with us even if not planning to drive to the Mitchell plateau. 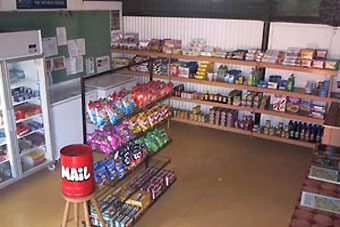 Shop, fuel, accommodation, camping, licensed bar and restaurant, coin phone, tyre and minor vehicle repairs are available. 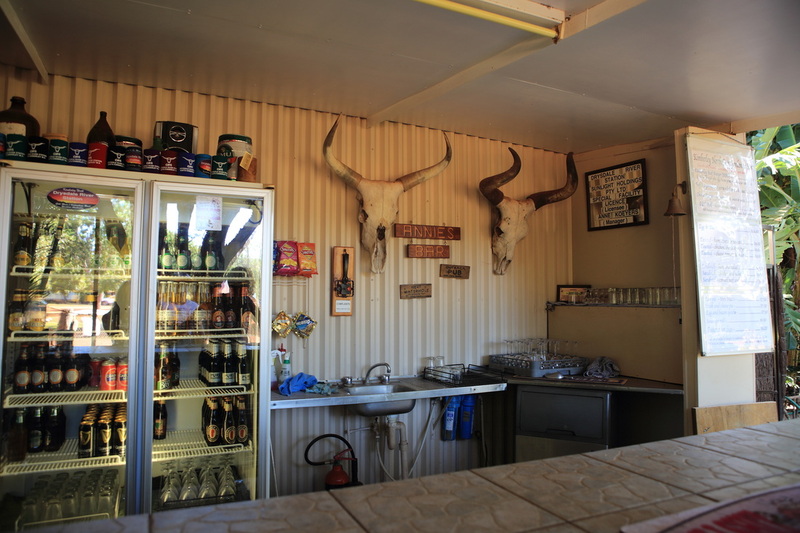 Our lovely new camp ground ablution block which includes a coin operated laundry is one of the very best in the entire Kimberley. We are open about April through to about October depending upon road conditions. 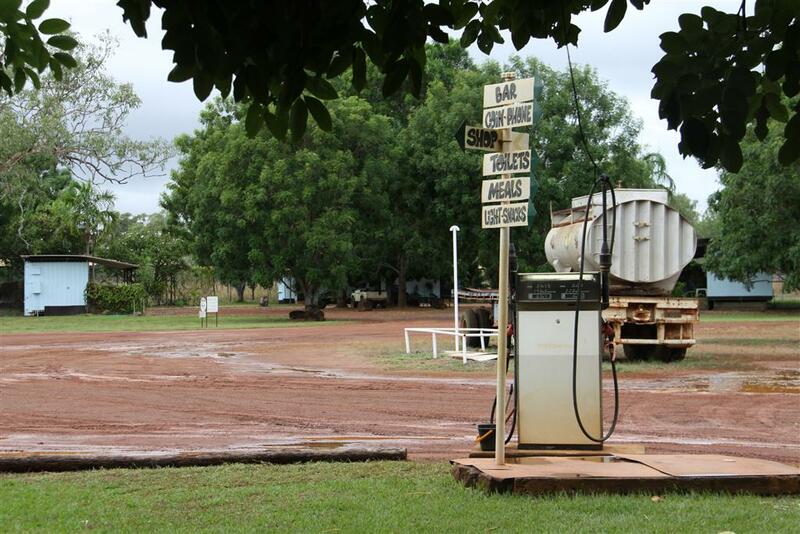 Dirt roads close in the North Kimberley over the wet season, therefore April, May or October, November, you should check road condition prior to travel. During approximately May to September, Alligator Air has an aeroplane based here offering scenic flights to the Prince Regent Nature Reserve and the Mitchell Falls. These two hour flights are loved by all who do them. 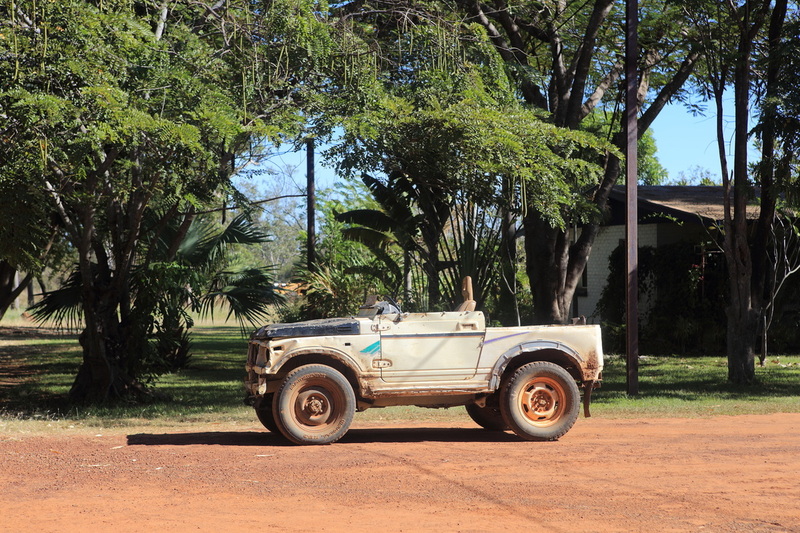 The flight allows you to save two or three days driving in to the Mitchell Falls and also lets you see the pristine coast, islands and wilderness nature reserve which are not accessible by road. 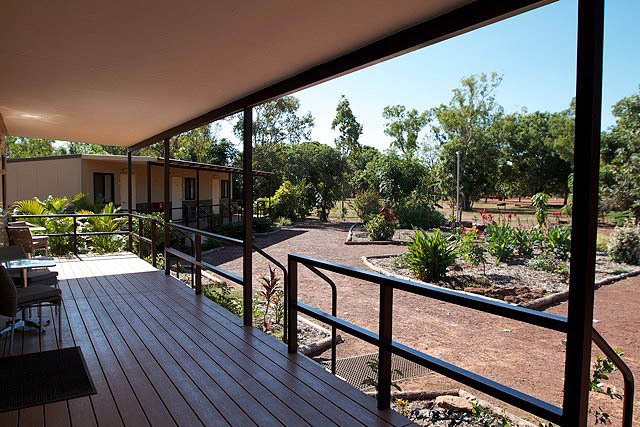 The Drysdale River has a lovely sandy bottom for pleasant swimming or riverside camping and bird life abounds. 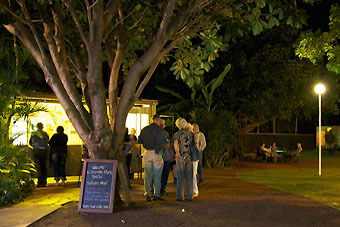 Our restaurant is open to all for evening meals, as is the bar and beer garden. 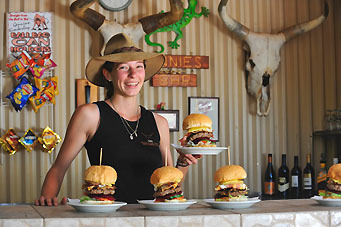 We offer a good daytime short order menu and our huge hamburgers, the Kimberley Beef Burger, are the talk of the road every year for the past four years. 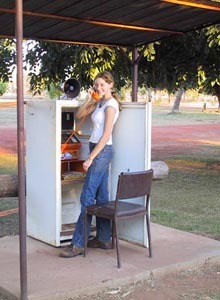 Our office hours are from 8am to 5pm, 7 days, Western Australian time. (it can be up to 3 hrs in the summer, from daylight saving states ! ).